Martinez decided to start his promotion and chose the name Praetorian, seemingly based off the Brazilian MMA apparel company that was gaining popularity at that time, with fighters like Junior dos Santos and Big Nog wearing their shirts. Martinez needed help to start Praetorian. He wisely looked to Rob Hinds and his Combat Consulting company. 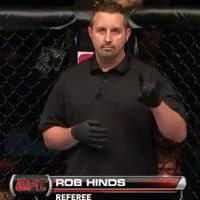 Hinds has worked as a referee or judge in over 5,000 fights. You’ve likely seen him at local shows, and you’ve seen him on your TV working UFC and Bellator events. He’s also a long-time martial artist, with an impressive resume that includes fighting, coaching and teaching, both here in the states and internationally. So Martinez did well in choosing Hinds to get his promotion started on solid ground. Martinez contacted Hinds months in advance of his first show and wanted to book Hinds as his referee and as a consultant. This was all done by email. Hinds said Martinez was effusive about doing ‘the right thing’ because he felt no other promoter in Illinois was doing that. Hinds had heard that line from promoters before, so he reserved a bit of skepticism. Still, he decided to work with Martinez, but only with a few guarantees. “I consulted with him at no charge, as he had guaranteed me that he would take my advice and use me as his head referee. I fed him all the correct information, made many recommendations for good service (sanctioning body, officials, etc.) and saved him a lot of effort and time in seeking these things out himself,” Hinds told Chicago’s MMA. Martinez booked Hinds for the event, then never heard from him again. This was not atypical according to Hinds, as once he is booked he just shows up to work as scheduled. But shortly before the first Praetorian event, Hinds got word that Martinez changed the venue, sanctioning body and cage provider. Still, Hinds knew where to go to work the event, and he did just that, arriving at the venue early prepared to do his job. He saw Martinez, but Hinds said it seemed like he did not want to talk to him. “He finally approached me and asked to speak with me. We went into a secluded hallway with one of his “security” guys. He proceeded to tell me that he didn’t need my services and that the sanctioning body that he originally hired should have told me about the cancellation. I reminded him that this was HIS responsibility, as HE was the person who contracted me, not the sanctioning body, ” Hinds said. The conversation got a bit animated, and that’s certainly uncharacteristic for Hinds. A very well-respected coach that had fighters on that card noticed the conversation between the two had heated up, so he went over to see what was up. The coach told me that he went over to greet Hinds and give him a pat on the back. As he did that, Martinez told the coach something to the effect of ‘Can’t you see we’re trying to have a conversation here?’ That coach told me that Martinez is lucky that he didn’t dust him right there. So before there the first-ever Praetorian event even started, Martinez had managed to disrespect two of the most revered people in the Chicago MMA community. And he wasn’t done yet with Hinds. At least Hinds got paid. The majority of complaints I’ve been receiving about Martinez is that he has not paid for services rendered. Most describe the process of dealing with him like this: Martinez offers up various excuses for why he hasn’t sent payment. He then makes promises to pay that go unfulfilled. Finally, he falls off the grid and those in search of their money are left frustrated, unable to contact him. Some have gone into great detail to describe how Martinez has shirked the responsibility of paying his bills. Others have told me they have a legitimate contention, but they’d rather just leave their name out of this piece. They don’t care to revisit what was an aggravating — and costly — experience for them. Some want to talk about their business dealings with Martinez, but they can’t at this time. One example of this would be Murcielago MMA. 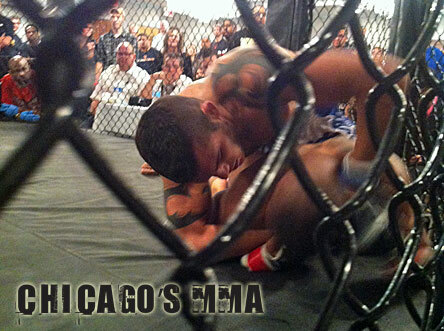 Murcielago MMA is a fight team from Michigan, and they had a few fighters on the Praetorian 2.5 card. One of their fighters fought in the main event, Michigan State University wrestler Troy Lamson. It was a slick move by Martinez, basically bringing in the best welterweight in Michigan to fight Combat Do’s Angelo Rivera Jr., arguably the best amateur welterweight in Illinois. Lamson won a unanimous decision over Rivera Jr. and said he would be back after his MSU wrestling career ended in 2014 to defend his Praetorian title. That’s obviously not going to happen since Martinez declared he was done promoting amateur events. But even if Praetorian was still putting on ammy shows, no fighter from Murcielago MMA, Lamson included, would be fighting on the card. Lamson will get to hang on to his Praetorian welterweight champion belt. The only problem with that is Martinez still hasn’t paid for it.